2018 was another big year for lithium, largely due to growing EV demand. Here we run through our five most popular lithium news stories. As in previous years, demand for electric vehicles (EVs) continued to have a big impact on the lithium sector in 2018. With the EV revolution continuing to gather speed, investors were keen to keep tabs on developments in the space. As our most popular lithium news stories of the year show, interest in market commentary was particularly high over the last 12 months. Scroll on to see the five lithium news stories that received the most attention from our audience in 2018. If you missed them when they were first published, we suggest you take a read now. 1. Will Lithium Prices Fall by 2021? Our most-read lithium news story of the year covers Morgan Stanley’s (NYSE:MS) February prediction that lithium prices will drop 45 percent by 2021. Analysts at the firm said at the time that despite high hopes, demand from the EV sector will be insufficient to offset increasing supply from Chile. “We expect these supply additions to swamp forecast demand growth,” Morgan Stanley said. The firm’s forecast was met with a high degree of skepticism by many industry experts, including Simon Moores of Benchmark Mineral Intelligence, who called it “ridiculous,” and Joe Lowry of Global Lithium, who said the report indicates that analysts at Morgan Stanley don’t understand supply, demand or the cost curve. Even so, the report has dampened lithium sentiment and company share prices this year. The next lithium news story our readers looked at the most was the January announcement that lithium giant SQM (NYSE:SQM) had finally reached a royalty agreement with Chilean development agency Corfo. The two parties were negotiating over royalties for the Salar de Atacama, and SQM agreed to pay the surrounding communities somewhere between $10 and $15 million annually. At the time, SQM shared its plans for the site moving forward, and what its annual production will look like. Want to know more? Click here. 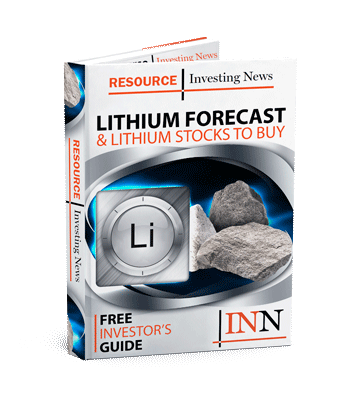 Next on our list of top lithium news stories is a June interview with Benchmark’s Moores. He highlighted the rise of lithium megafactories, many of which reside in China, and said that despite the oversupply worries spurred by Morgan Stanley he sees lithium demand staying strong. So what does he mean by a global battery arms race, and what does he foresee for lithium prices? Read on to find out. Also in June, we caught up with Andrew Miller, senior analyst at Benchmark Mineral Intelligence, at the Lithium Supply and Markets conference in Las Vegas. In this audio interview, Miller goes into depth on the lithium market and what he’s seen being on the road visiting conversion facilities. While there are a lot of players in the space, he forecasts a point of congestion with regards to battery-grade material. To find out more about what Miller forecasts for China, Australia and South America, listen to the audio above or click here. Rounding out our five most popular lithium news stories of 2018 is an interview with Ken Brinsden, CEO of Pilbara Minerals (ASX:PLS), also from the Lithium Supply and Markets conference in Las Vegas. Brinsden is bullish on the battery metal, and describes what he calls an “insatiable” demand for lithium. He goes on to explain the possible downside of lithium brines, and how they might impact lithium supply. What’s next for Pilbara moving forward? Listen above or continue reading to learn more. Which lithium news stories caught your attention this year? Let us know in the comments section.